At Epic Vision Development, helping you see better, look better, and live better are our top priorities. Dr. Timothy Moore, O.D. has been an optometrist in Reno, NV for the past 3 years. 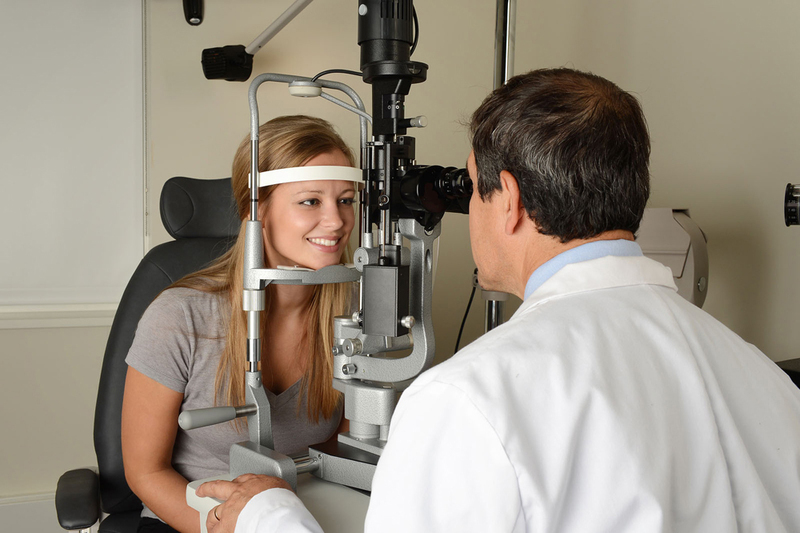 As a newer clinician who's been recognized for excellence in pediatric optometry, vision therapy, and binocular vision care, Dr. Moore offers his patients advanced optometry services which are up-to-date on the current best research in the field of optometry. Eye health diseases can affect people of any age, background, or lifestyle. Of course, different people may be more at risk for developing certain diseases, any of which can present with a variety of symptoms. Macular Degeneration - The gradual breakdown of the macula, a spot in the center of the back of your eye that is responsible for many essential visual tasks such as reading and driving. Glaucoma - Progressive damage to the optic nerve caused by or related to an increase in internal eye pressure. Cataracts - Clouding of the eye lens that can lead to impaired vision. Cataracts can typically be removed during a simple outpatient eye surgery procedure. Amblyopia (Lazy Eye) - A condition that causes impaired vision due to atypical development of the brain-eye connection. Strabismus - Commonly called cross eyed, strabismus occurs when one or both eyes are misaligned, turning inward or outward. Conjunctivitis (Pink Eye) - An infection of the eye typically caused by a bacteria, virus, or fungus. Dry Eye - An uncomfortable condition caused by impairment in the normal production and/or drainage of tears, which are necessary to keep the outer surface of your eyes moist, nourished, and protected. Diabetic Retinopathy - Damage to the delicate retinal tissue (on the inside of the back of your eye, home to important visual processing cells) caused by leaking and inflamed blood vessels in the eye, a complication of diabetes. In addition to treating the above eye conditions, Dr. Moore also has a special emphasis in pediatric optometry and binocular vision assessment. He's highly skilled in helping children struggling with various developmental delays, which can severely impact a child's academics and overall quality of life. He'd be honored to provide your child's back-to-school eye exams or sports eye exams. It's important to remember that even if you have perfect vision, you should still visit with an eye doctor on a routine basis. The main reason for this is that many eye health conditions don't show any signs or symptoms in the beginning stages of development. This means that what may start as a small and more easily manageable problem may grow into a more serious condition without you even realizing it! During a comprehensive eye exam, Dr. Moore can carefully examine and assess your vision and eye health to rule out the presence of any hidden underlying problems. He can also perform contact lens examinations as well as eyeglasses fittings to ensure that all your vision correction needs are met in a way that will fit your lifestyle. Epic Vision Development Can Help Your Entire Family, Contact Us Today! Have you gotten your vision checked lately? Even people with perfect vision should have their eyes checked by an eye doctor. To make your appointment or to learn more about our eye care services, contact us today at (775) 507-7171.